Going solo and shaking the shackles of employment has many benefits. Finally, you can control what you do, who you do it for, and when you do it. You can balance work and life in the way you never did before. For many of us though, these benefits are outweighed by one big con; you no longer get a steady paycheck. It’s for this reason that millions of people still spend their lives in the office. And, there’s no denying the benefit of knowing what you’re getting and when if you have bills to pay. But, this may not be as far from freelance life as you’d think. When you have steady custom work, after all, you should still be able to arrange payments to meet your needs. In theory, it’s the ideal compromise, but it’s by no means a foolproof plan. That’s because many freelancers, especially in creative fields, don’t get money when they’re owed. In extreme cases, they never get it at all. This could unravel your efforts, and it’s something you want to put an end to. But, you can’t do that until you ask whether you’re making it easy for those clients not to pay in the following ways. The worst thing we can do as creative freelancers is doubt ourselves. If you aren’t confident about the worth of your services, non-payments is inevitable. It may be that you feel awkward even asking for money. 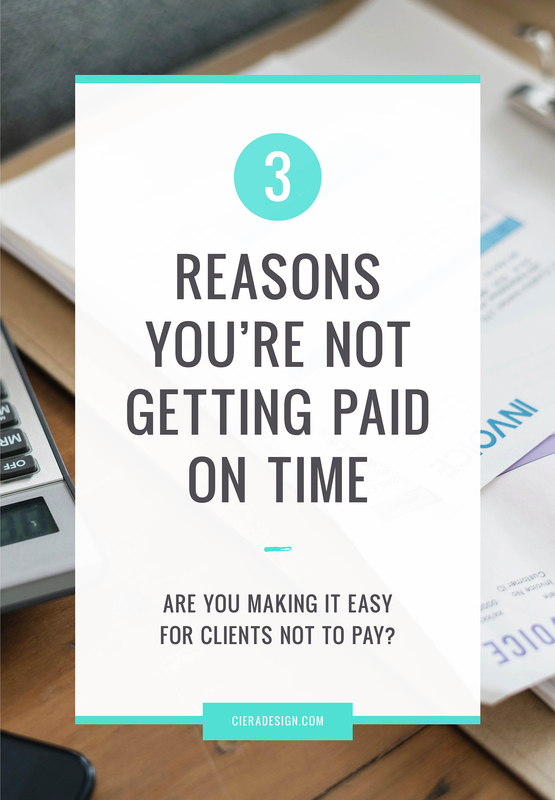 Or, you may not want to chase clients when they don’t pay on time. If that’s the case, you couldn’t make it easier for them to get away. Make sure that doesn’t happen by remembering that payment is your right as a creator. You’re providing a service, and you deserve a monetary return. Be clear about your rates. Make sure, too, that you chase unpaid accounts until you see results. How can you be sure of payment otherwise? Long-winded payment methods are another sure way to do yourself out of money. If you let clients leave on the promise of direct debit payments, it’s never going to happen. Make sure that no client can walk away by looking to payment product improvements like the Square Terminal. This is a new way of accepting payment which is easy to transfer and operates from battery and offline. By keeping something like this with you, you can kiss goodbye to those promises of ‘I’ll pay you later’. Instead, you’ll be able to get your money there and then. You may simply be failing to put payment dates on your invoices. Even if you’ve agreed a day with clients, you have no standing unless you put it in writing. By providing a date on the invoice, you create a reference for both you and them. You’ll then know as soon as that payment doesn’t come in, and take action the moment the client lets you down. This post about copyright and how to protect yourself and your creative works is sponsored by the Copyright Alliance. All opinions are my own. Thank you for supporting this blog by allowing me to post occasional sponsored content. All sponsored posts feature products or services that I truly feel would be of interest to you. My heart still races as I think back on this mistake. He threatened to sue unless I paid $11,000. I should have known better and it’s even embarrassing to tell this story. But sometimes you have to mess up to learn the lesson, or in this case, hopefully, learn from someone else’s mistake. Let’s go back in time… I live on a historic commercial street in New Orleans and, from 2009-2014, I volunteered to set up and run their website, blog, and social media. I’d post about special events, new shops opening, sales and other fun things happening in the 7-block commercial strip. I would share images from the local businesses to help them get the word out or use photos from photographers that I thought were free to use. One time, I used a copyrighted image from Flickr for a collage in a blog post. I should have known better but did not even look at the copyright or ask permission. The image was credited and linked back to the photographer’s Flickr page (probably how he found our site, through his Flickr stats). A few months later, I was contacted by him as he was looking for the owner of the site and looking for compensation for copyright infringement. He sent email after email trying to get me to pay an $11,000 fee to avoid him taking legal action. I talked to an attorney, took the photo down and everything was resolved without a lawsuit or fees. But lesson learned. I’ve heard horror stories of people actually having to pay huge fees for using photos or art that they used without permission (something that no one should ever do). Ever since that incident, I always ask for permission. Giving credit is not enough. And I try to spread this message to fellow creators, so they can also learn from my experience. I know that as a blogger, creator or small business owner, it’s hard to keep track of all the rules – but it’s part of running a business. I know that as a blogger, creator or small business owner, it’s hard to keep track of all the rules – but it’s part of running a business. I’ve also been on the other side of things, having my photos used without permission. Not only were photos that I took used without permission, but I’ve I found my headshot being using to promote courses and products that I had never heard of. And I’ve had friends who have had their work copied and stolen. It’s sometimes hard to know what to do in these types of situations. But I recently came across an amazing resource that can help whether you are looking to protect your own work or to learn more about copyright in general. The Copyright Alliance is dedicated to advocating policies that promote and preserve the value of copyright, to protecting the rights of creators and innovators, and to educating the creative community regarding copyright law and policies. The individual creators that they represent rely on copyright law to protect their creativity, efforts, and investments in the creation and distribution of copyrighted works for the public to enjoy. Are you a photographer, author, songwriter, designer, or some other type of artist/creator? Do you have questions about copyright and how to protect yourself and your creative works? Are you interested in joining a community of creators just like you who want to know more about copyright and how it can help you make a living and a career? If the answer to these questions is “yes,” then you should consider joining the Copyright Alliance! They represent the interests of authors, photographers, performers, artists, software developers, musicians, journalists, directors, songwriters, game designers and many other creators. The Copyright Alliance recently launched a Gold Membership plan to provide you with exclusive benefits that you’ll find helpful on a daily basis. Their new Gold Membership plan features exclusive benefits designed just for creators, including: access to a private members-only website; access to a private Facebook Forum, where their team will respond to your copyright questions; webinars on copyright-related topics; exclusive copyright toolkits featuring info on topics such as copyright registration, copyright basics, online enforcement; exclusive discounts on worldwide hotels, Adobe Creative Cloud, Dell Computers and Electronics, Office Depot, and numerous conferences and events. To join as a Gold Member, or to learn more about benefits, just click here. Creating a strong brand is the key to successful marketing. 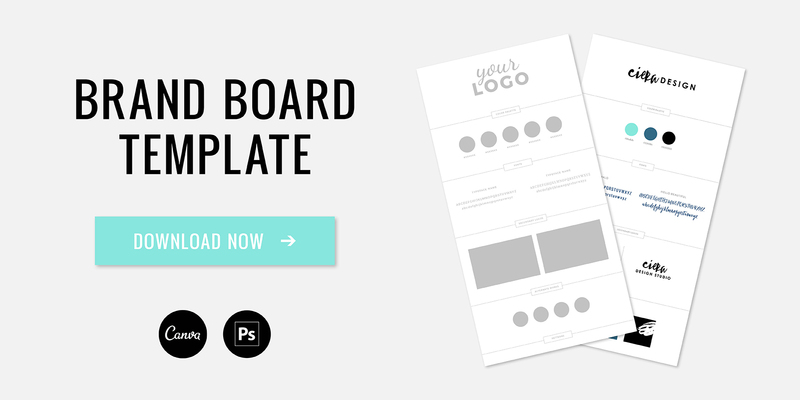 The content of your marketing materials is important, of course, but the way that you present it needs a lot of thought too. People always put time into color schemes, good use of pictures and the layout but often, the fonts and typography that you use is chosen without too much care. We often underestimate just how much difference the font can make but it has an effect on your customers. These are just some of the great ways that you can use typography to improve your brand. When you create a brand, what you’re trying to do is send a message to the customer. You’re trying to give them an understanding of what your company is about and what your core values are. Telling them is one option but people aren’t interested in a long wordy advert, you need to send that message visually. The typeface that you use is a good way to do that. For example, if you want to tap into an older demographic that is attracted to a traditional company, you shouldn’t use a modern looking minimalist font. You should also think about what the purpose of the words is. If, for example, it’s a call to action, a more angular font that conveys a bit of urgency and stands out is a better choice than something more ornamental. When you’re mixing fonts, make sure to put proper consideration into how well they go together, otherwise, everything will look a bit out of place. Even though you’re trying to convey a message through the font, you still want people to read the information that you’re putting out there for them. The font can really help to keep their interest until the end. Some are a lot harder for people to follow, particularly more decorative ones. There are some different choices depending on what you’re trying to do. On a website, you should use a font that is specifically designed for reading on computer screens to avoid eye strain. Helvetica and Georgia are some of the best; they might be fairly simple but they’ll improve the readability of the site. 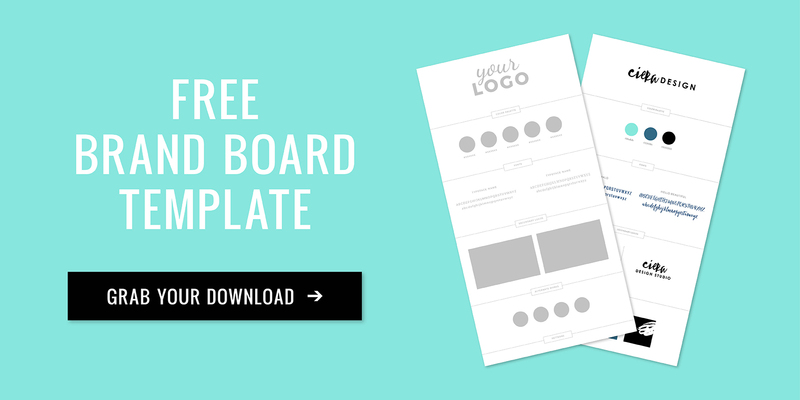 You’ve got a bit more freedom when you’re creating physical marketing materials but you need to make sure that you don’t sacrifice readability for style. You still want to express something about your company but you have to strike a good balance between the two. If you want to know how to market your company well, look to some of the biggest companies in the world for inspiration. Coca-Cola and Youtube have both created their own custom typeface which customers will instantly recognize as theirs. If you create your own corporate typeface, it makes your marketing materials more unique and iconic so they’re far more likely to stick in customer’s minds. It also means that similar fonts and typefaces used by other companies will make customers think of your company. Don’t underestimate the power of a good font when you’re trying to build a brand.